We were walking through the park, taking pictures as we always do of nature, trees, clouds and sun shining through trees and sometimes animals as well. Towards the end of our walk I wanted to take a few more pictures of the sun because on our last walk I had done this and the sun shone through the trees very dinstinctly and made really neat pictures. We had not noticed that the camera captured an image (octagon type) until we downloaded the pictures onto the computer, then looking at them closer, we noticed that the object also seemed to be moving. We decided to zoom into the object and in one of them, noticed that there seems to also be an image inside the octogonal shape. Upon checking the camera, we found that it was not on any special image setting/feature. All the other pictures were normal from what we could tell. None of the pictures have been digitally enhanced or messed with in any way. In Januari 2009 a research team from Open Minds captured photos of a strange, seemingly biologic Unidentified Flying Object in the sky above Mexico City. For more details, you can read the full story in the August/September 2010 issue of Open Minds magazine. On Friday December 23 2011, five witnesses filmed an unidentified flying object (similar to the object in the picture and video above) over Russia Tsjeliabinsk. Witnesses have recorded the unknown object, which was seen by many Russians, on video around 18.14 hours. It shows a mysterious light across the sky and a sort field or halo around them. Spacecraft communications "Meridian" fell Friday evening near Novosibirsk. According to preliminary reports, the victims and destructions. The probable cause was the loss of a satellite failure of third-stage engine booster. 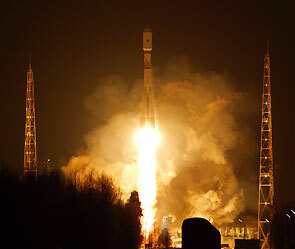 Russia's Defense Ministry has officially confirmed the loss of the satellite, launched from the cosmodrome "Plesetsk". "Meridian" is a dual-spacecraft, designed for both military and civilian targets. Held on Friday launched a satellite of this type was the fifth since 2006, occurred prior to May of this year and was successful. According to the Troops and Space Defense, Colonel Alexei Zolotukhin, cause loss of the satellite were problems in the motor carrier rocket "Soyuz-2". "At the 421-th second flight as a result of abnormal third stage propulsion rocket" Soyuz-2 "spacecraft is not excluded into the proper orbit," - he said. Causes of abnormal engine operation sets the state commission, reports RIA Novosti . Currently, the wreckage of the spacecraft were found in four locations Orda region of Novosibirsk region. As reported by the Khrunichev Center, a catastrophe, "Meridian" will not affect preparations for the launch rocket "Proton-M" with the Dutch telecommunications satellite SES-4 (NSS-14). On Friday, the state commission has decided to take out December 24 rocket launch complex at Baikonur site 200, where he continued his preparations for the launch, scheduled for December 26. Recall that previous serious accident took place 24 August this year. Carrier rocket "Soyuz-U" with a space truck "Progress M-12M" took off from Baikonur, but for 325 seconds of flight, crashed in the propulsion system and emergency shutdown. As a result, the ship crashed in the Altai Mountains , death and destruction on the earth was not.